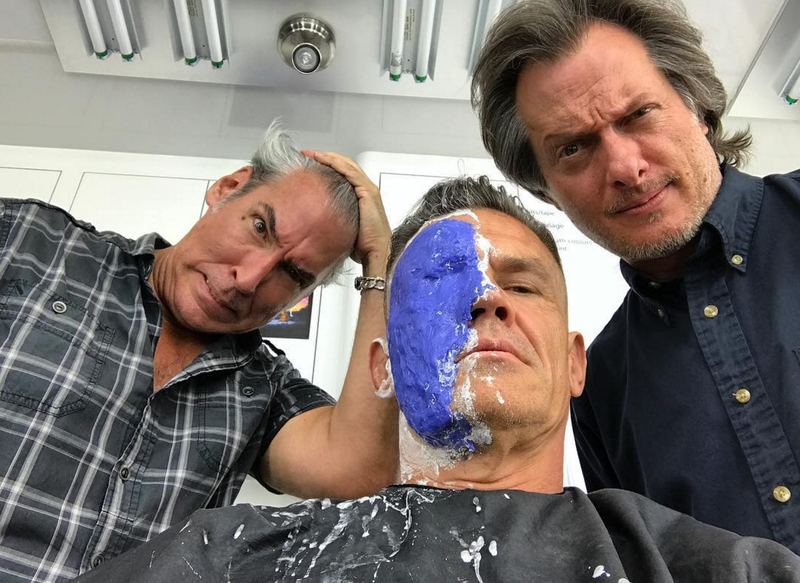 Eager to keep fans clued in on his exhaustive transformation process – a process that spans intricate make-up work and long hours in the gym – Josh Brolin has today posted another photo from the Deadpool 2 make-up chair. Unveiled via Instagram (with a tip of the hat to CBM), below you’ll see the Infinity War actor plastered in some form of blue prosthetic. That’ll likely act as a VFX stand-in for the many facial scars (and iconic cyber eye!) of Nathan Summers, though it seems a safe bet that director David Leitch and the team will double down on practical effects over CGI – at least, that’s what this Instagram post suggests. In news relating to the Merc’s sophomore romp, we learned earlier today that New Zealand teen Julian Dennison (Hunt For the Wilderpeople) had landed an undisclosed role in the David Leitch-directed sequel. And at least based on the casting announcement from Ryan Reynolds, we’re inclined to believe he’ll play a reluctant ally to the gun-toting Deadpool. It’s shaping up to be a huge year for Josh Brolin, who has lined up back-to-back appearances in Avengers: Infinity War (May 4th, 2018) and Deadpool 2 (June 1st, 2018). The former will surely leave the door open for Brolin’s Mad Titan to feature in the as-yet-untitled Avengers 4, though given how Marvel continues to play its cards close to the vest, it’ll be some time yet before we have a firm answer to that question. Stay tuned for more.